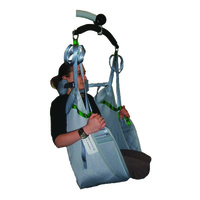 This stand assist sling is padded for end users providing additional comfort and is suitable for those with skin integrity issues. Providing comfort and stability. 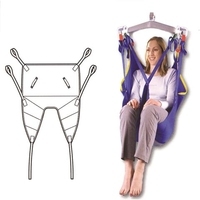 Height adjustable for multi-patient application. Velcro chest support with clunk-click buckle for user safety. 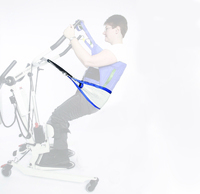 Ideal for maintaining mobility or rehabilitating end users who have suffered injury and need to gradually build standing strength. Patient must have reasonable weight bearing ability. 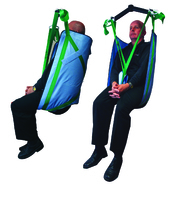 Stand Assist aids such as the Soft Chest Stand Aid offers specific solutions for mobility rehabilitation particularly those end users who do not require ridged back/torso support during the seat to stand sequence or require a softer sling due to residual injury.